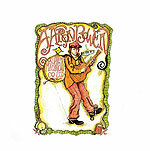 CD review: "Supreme Macaroni Co. Ltd."
Playing a likeably offbeat sort of modern chamber music, San Diego's Aaron Bowen has released a new CD that is equal parts late-period Beatles and subsequent avant garde art music. Keeping it from ever getting too weird, though, is the fact that Bowen has a McCartneyesque fixation on melody  all 12 songs on the CD are absolutely flush with gorgeous lines and catchy figures. Bowen has a warm singing voice, and he's a virtuosic performer on just about anything with strings on it. The Hawaiian slide is particularly good, while an accordion adds a nice atmospheric touch. The intricate arrangements are often old-school in their balancing of the various parts, giving everything a kind of sepia patina. Charming, fun and melodic, "Supreme Macaroni Co. Ltd." is one of the more unique releases from San Diego County this past year.